In the battle against Raikage, Sasuke cast Amaterasu and Raikage avoided it pretty easily because he's fast. 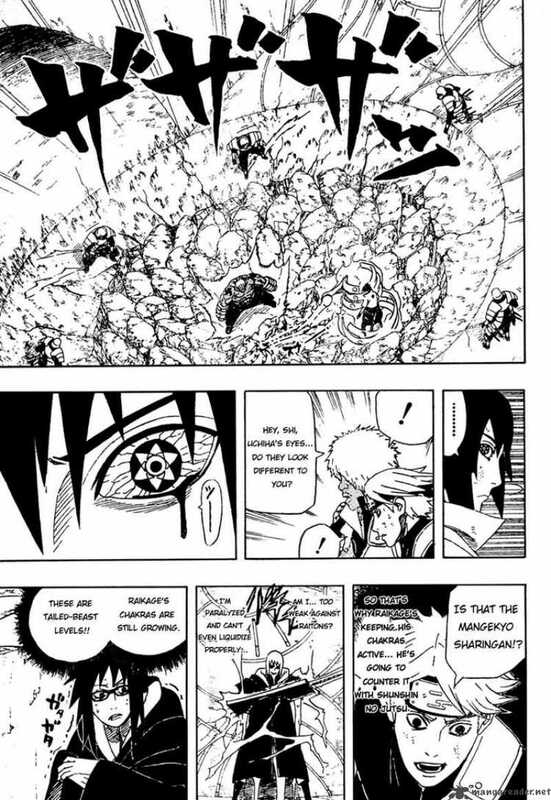 In the battle against Kaguya, Sasuke cast Amaterasu and it hit her. - Sasuke Amaterasu speed had increased as he grew stronger so Kaguya couldn't dodge? - Kaguya could dodge it but she simply took it because she knew it was a chakra that she could absorb? Are there any information about this? Note: Kaguya is faster than Raikage, right? Short Answer: Kaguya Otsutsuki was very powerful but her speed was just slightly above average. During her battle with Sasuke and Naruto, all she mainly did was hop from dimension to dimension, use a bunch of Kekkai Moras and absorb their attacks with her Rinnengan. Note that she is NOT faster than Raikage Ai when he uses the Lightning release chakra Mode to enhance his speed and reaction time. The only reason why Raikage could dodge it is cause he combined 2 Jutsus simultenously in order to detect and flicker away from the flames. Kaguya on the other hand, was not fast enough to dodge the flames. However, she was skilled enough to quickly absorb them before they did enough damage on her. So to answer your question, the speed of Amaterasu was never increased, She just was not fast enough to dodge the flames like Raikage did. In the case of Raikage, he used 2 jutsu's simultaneously in order to dodge sasukes Amaterasu. The first one is the lightning release chakra mode. During his battle with Sasuke, Raikage was wraped in lightning during the entire fight and once sasuke started to use the mangekyou Sharingan, Raikage instinctively started using way more chakra for the Lightning Release Chakra Mode in order to increase his already heightened speed and reaction time. With enhanced speed and reaction time, Raikage was able to immediately react to sasuke's amaterasu, he then used the ShunShin no jutsu ( Lightning release Body Flicker technique ). Since he combined the 2 jutsus perfectly, he was able to instantly react to and swiftly move away from the flames (all within a matter of seconds, simply mindblowing lol). Moreover, Kaguya could not pull such a feat. Speed is just a vague concept while using Amaterasu. The real answer to this is accuracy. 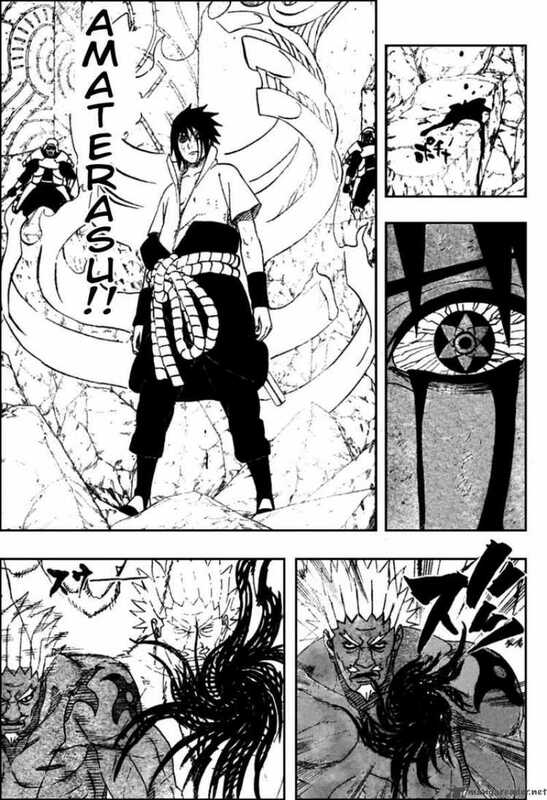 While fighting Sasuke, Itachi missed the Amaterasu several times. Not because Sasuke was running at the speed of light, but because of his blurry vision, which could not target Sasuke properly. It could be that Sasuke missed casting it on the Raikage because he wasn't as proficient with it as he was while fighting Kaguya. His visual prowess was also enhanced and his vision was clearer because of the Eternal Mangekyou Sharingan while fighting Kaguya. So, the speed of the jutsu could increase (time taken to cast the jutsu, not reach the object) after unlocking the Eternal Mangekyou Sharingan. When can chakra be seen? How can Madara summon Kurama? Can Gaara Survive Without Sleep?